How do you take a an ordinary design for a bridge and make it special? Put a dragon on it, of course! 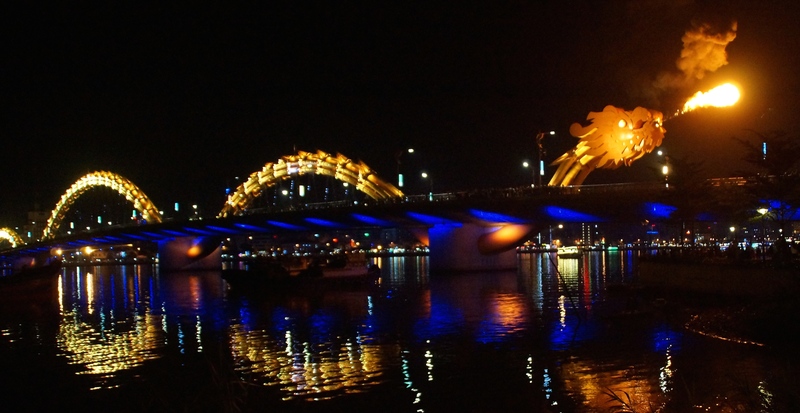 Da Nang has two new symbols for the city, both completed in the last five years: the Lady Buddha and The Dragon Bridge. 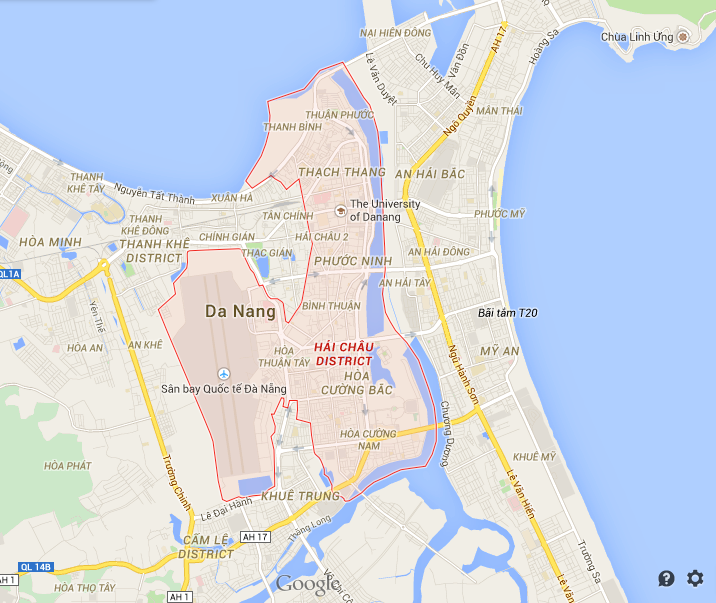 Da Nang is a city divided by the Han River which flows into the natural harbor. Transportation to and from each side of the river has become increasingly important as the city continues to grow. The boats of yesteryear, transporting goods and vehicles from one side to the other are all but gone. Bridges, I say, Bridges are the future! Today there are eight bridges that span the Han. 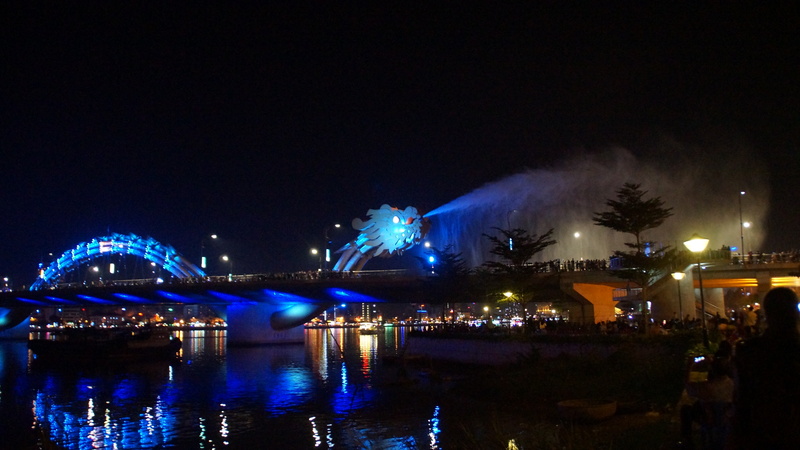 The furthest downriver, the Cau Thuan Phuoc was opened for business (July 19, 2009) on the same day as construction of the Dragon Bridge began. 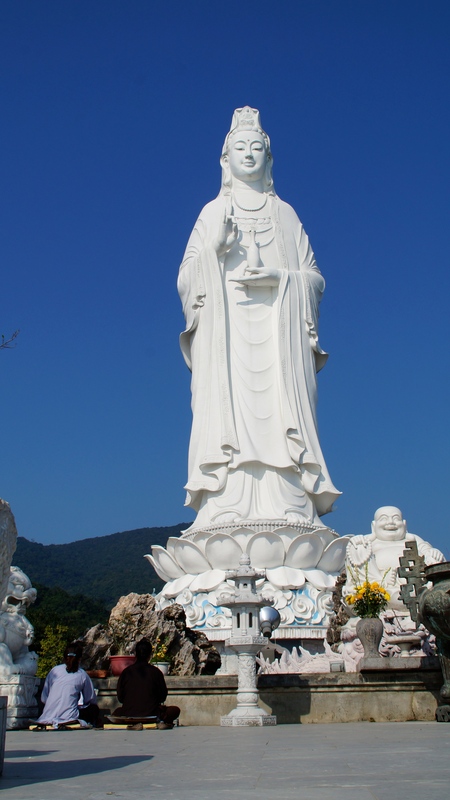 From a mythological standpoint, there is a dragon that lives under all of Asia. The hart of that Dragon is located under this part of Vietnam. It only makes sense that this bridge would have a Dragon on it. And guess what….? It spits fire. Just like a real(?) dragon. 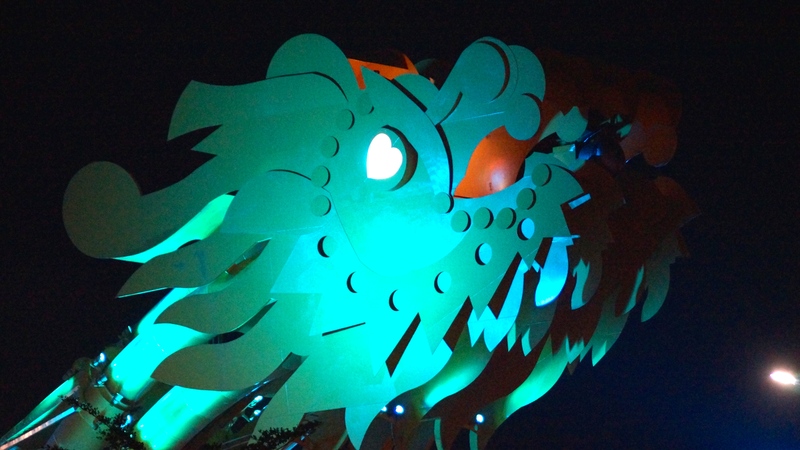 Every Saturday and Sunday night at 9pm, the Dragon comes to life. He spits fire. He spits water. But don’t be scared, this dragon has love in his eyes. Regardless of what you think of the bridge and it’s design, it’s utility extends beyond transportation needs. City planners and Architects take note: this bridge is a win for the city. Every Saturday and Sunday, thousands of people come out. They line the bridge, they line the riverfronts on both sides, they fill cafes, restaurants, and buy from the street vendors that come to serve the swelling crowd. People are out of their homes, they are being social, getting exercise, spending money, and supporting local businesses. Did the city need a bridge there anyway? Yes. But did they have to incur the extra expense for design and construction and ongoing expenses (for the fire and water show)? No. 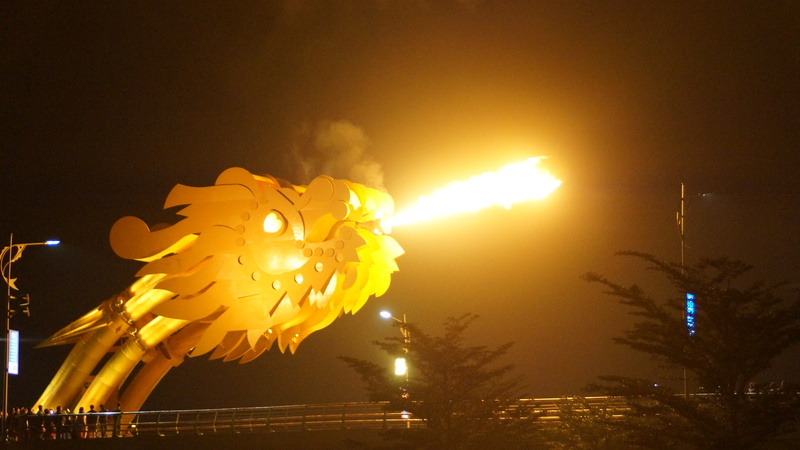 This entry was posted in Architecture, backpack, Travel, Vietnam and tagged Da Nang, Dragon bridge, Fire, Vietnam, Water. Bookmark the permalink.